On July 6th, 2014 @ 5:44PM the Middleton Police Department was informed of a physical disturbance in the 6300 block of Pheasant Lane, which involved a machete. Based on the preliminary investigation, Brandon C. Green, 27, of Stoughton, forcibly entered an apartment and confronted a female companion and a number of residents who were inside of this dwelling. During this disturbance, Mr. Green physically battered a number of the occupants resulting in one of them losing consciousness. Additionally, during this disturbance Mr. Green armed himself with a machete. Injuries to all of the parties involved in this disturbance were non-life threatening. 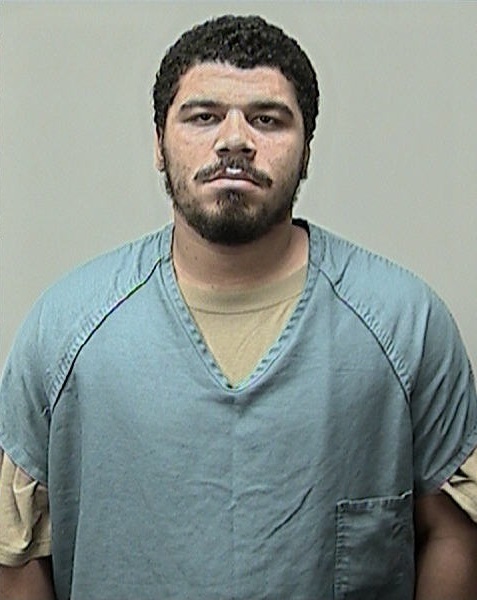 Mr. Green was booked into the Dane County Jail and charged with burglary, disorderly conduct while armed, battery, damage to property and substantial battery. The Middleton Police Department is asking anyone who may have information or witnessed this incident to contact the police department at 608.824.7300, tipster line at 608.824.7304 or text at 608.824.7300. Pursuant to the directive of the Wisconsin Supreme Court, as found in Supreme Court Rule 20:3.6, Trial Publicity, you are advised that a charge is merely an accusation and that a defendant is presumed innocent until proven guilty. You can now call OR text Middleton Police at 608-824-7300 for non-emergencies. Take the City of Middleton 2014 Citizen Satisfaction Survey! The Middleton Police Department is currently investigating a stabbing that occurred in the 6300 block of Pheasant Lane. The preliminary investigation indicates that the public is not in any danger and we will provide an update when possible. If you have any information relating to this investigation please call or text Middleton Police at (608) 824-7300. Why does the City of Middleton need an Assessor? What is the difference between Assessed Value and Estimated Fair Market Value?